No matter what you celebrate this holiday season, I have the perfect gift ideas for the tea lover in your life, courtesy of Tea Forté. 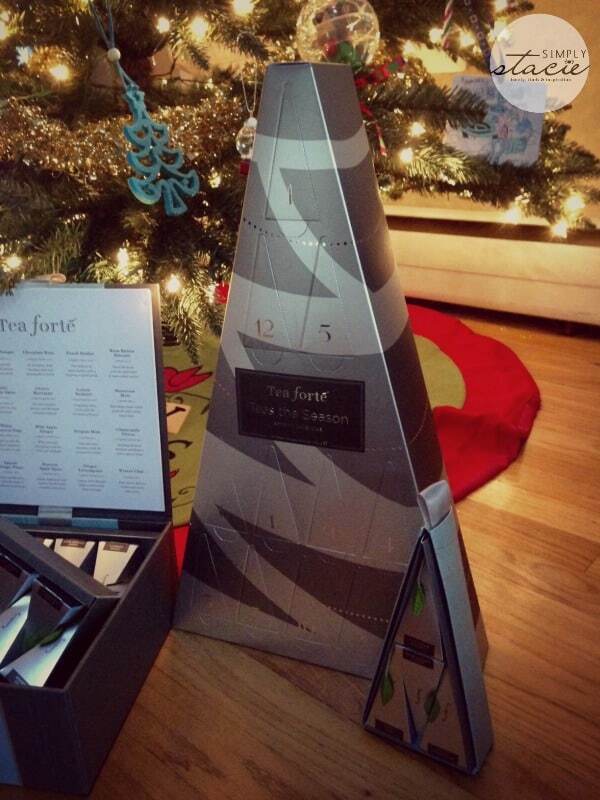 Tea Forté is a global luxury tea brand that promises to deliver the ultimate tea experience. They are known around the world for offering a superior variety of quality handcrafted teas and design-driven accessories. They are easily recognized by their unique packaging that is as pretty as it is functional. Enjoyed in over 35 countries, Tea Forté can be found at leading hotels, restaurants, prestige resorts and luxury retailers. 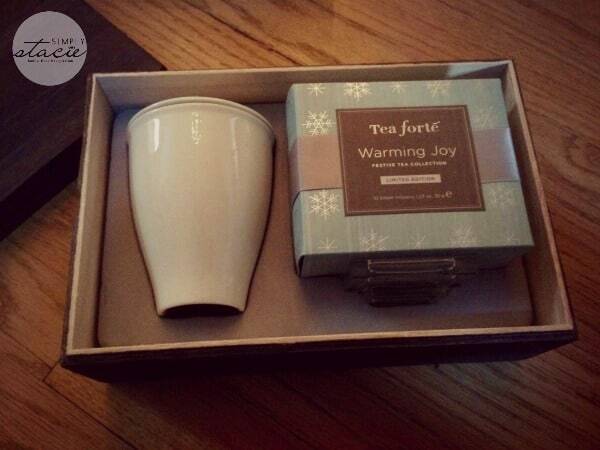 Tea Forté generously sent me a range of products from their holiday Warming Joy collection. My husband and I are big tea lovers and we were excited to try this brand. When the products arrived, we were struck by just how pretty the packaging is – from the gift sets to the individual tea bags. You can see the quality and the careful thought that went into the design of this collection. I love the “pyramid infuser” design of these products, making it super easy to make the perfect cup of tea. * Petite Ribbon Box – this box sells for $16 and has ten pyramid infusers with two pyramid infusers each: Harvest Apple Spice, Winter Chai, Sweet Ginger Plum, Sweet Orange Spice, Rum Raisin Biscotti. * Large Tin – this tin is pretty and impressive with 15 pyramid infusers with three pyramid infusers of each: Rum Raisin Biscotti, Sweet Orange Spice, Harvest Apple Spice, Sweet Ginger Plum, Winter Chai. This tin is currently on sale for $20. * Petite Tea Tree – this is a fun stocking stuffer idea. For only $8 you get 4 pyramid infusers with one pyramid infuser each of Rum Raisin Biscotti (my favorite! ), Sweet Orange Spice, Sweet Ginger Plum and Winter Chai. * Tea Chest – this is what I could call the ultimate gift for a tea lover. It includes 40 pyramid infusers, two infusers each of flavors such as Belgian Mint, Blood Orange, Caramel Nougat, Chamomile Citron, Cherry Cosmo, Cherry Marzipan, and more. With this $48 purchase, you also receive two free tea cups! * Holiday Gift Set – the name says it all. 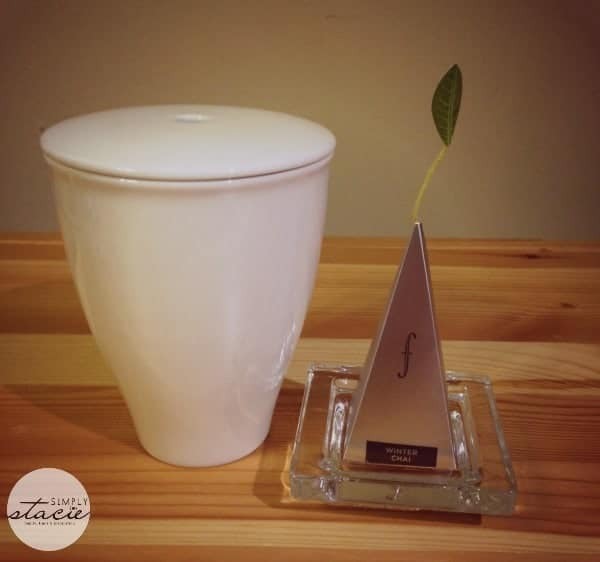 This $50 set includes everything one will need to enjoy a perfect cup: one SoHo 8 oz cup (how cute is the little leaf sticking out?! ), a glass tea tray, and petite warming joy ribbon box. 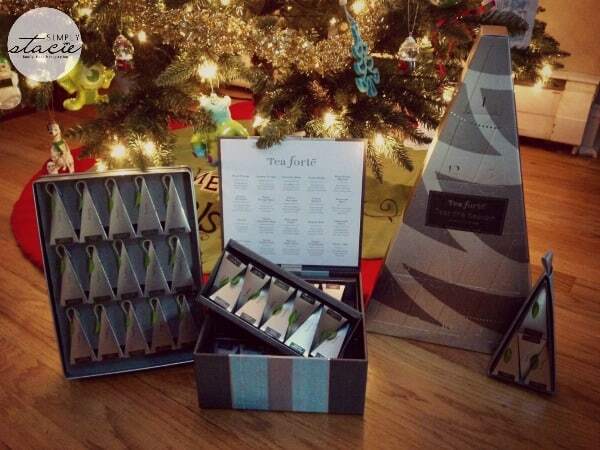 * Advent Calendar – this is a really cute idea that allows you to enjoy a tea a day through the advent season. This calendar includes 24 pyramid infusers with 24 individual blends that include Sencha, Ginger Lemongrass,Harvest Apple Spice,Lemon Sorbetti,Moroccan Mint,Peach Brûlée, and Rum Raisin Biscotti. This calendar sells for $44. * Rum Raisin Biscotti – this is my favorite flavor. It tastes like a cookie! I love the smell of it as much as the taste. * Spiced Ginger Plum – my husband is a big fan of spiced teas and this one certainly delivers on taste. * Pugg Snowflake Teapot – this teapot has an integrated brewing system that makes it as functional as it is pretty. Pair this with the matching teacups for the ultimate tea accessory gift. This teapot sells for $25. * Amie Snowflake Cups – this set is beautiful and delicate, and perfect for any blend. I love the simple design of these cups, and they look great paired with the teapot. A set of two sells for $10. * Kati Snowflake Cup – this cup makes brewing loose tea a breeze. The integrated stainless steel infuser brews a generous 12 oz cup. And bonus – microwave and dishwasher safe! This cup sells for $16. 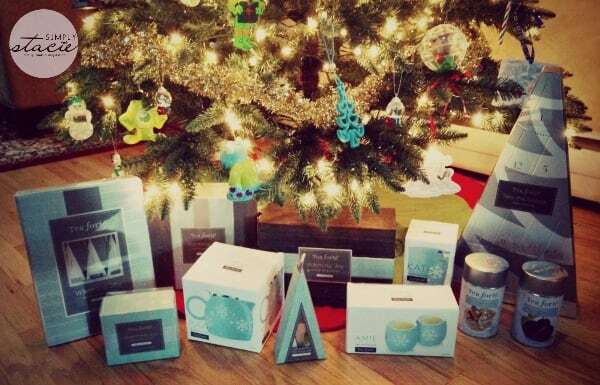 Whatever your budget, you will find a wonderful gift at Tea Forté this holiday season. Pair a few pyramids with a Kati cup, or some loose teas with the teapot. I guarantee the tea lover in your life will not be disappointed. I am enjoying these teas especially now that the weather has turned colder here in New York. Nothing like a cozy fire and a warm cup of tea on a cold night. 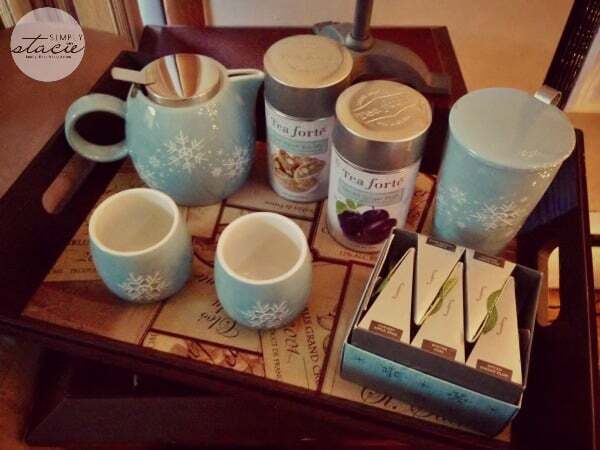 To see all the wonderful items Tea Forté has to offer, visit their website. You can also find them on Facebook, Twitter, YouTube, Google+, and Pinterest. I like the blood orange iced tea five-over-ice. I think the Cocoa Mate sounds great! I would like the lavender citrus with grapefruit, bergamot & violet for cocktails. I like the Sampler Collection. i would really love to receive the zen tea pot for christmas. I love love love the Rare Imperial Gift Tea set! Hello, I love tea! Tea can be refreshing when cold and nurturing and comforting when warm. It has health properties and the flavor is amazing. It would be awesome to have this and can even share with family, it is great. I like the duet gift set it is so nice and my mother inlaw loves it. I would like the tea chest sampler! I liked the Tea Chest Herbal Collection. The Formosa Oolong Tea sounds good! The Rejuvenation set looks divine! I would love to taste the harvest apple spice tea. Thanks so much for the chance to win. I would love to try the Tie Guan Yin Oolong tea it sounds so delicious! I like the Zen teapot! Thank You for the giveaway…we would like to try their black currant tea. I like the autumn collection of teas.